"Stop Autoplay Next for YouTube™" disables YouTube from playing the next track after the current one is over. Although it is possible to turn this off manually by clicking on the blue autoplay slider on the UI, this options doesn't seems to be persistent. This extension disables this feature entirely. What is Stop AutoPlay Next for YouTube™ extension? YouTube has a new feature to play a relevant track once the current track is over. Unfortunately there is no simple way to permanently turn this feature off. Even if you click on the blue slider to disable the auto-playing feature, on next session, the auto-playing is enabled. Using this extension, the auto-playing will be permanently disabled. In fact you will see that there is no blue slider button on the UI anymore and the next suggested track is blurred out. How does Stop AutoPlay Next for YouTube™ extension work? YouTbue uses a seperate module to handle auto-playing next track feature. This extension adds an observer to the network and rejects access to this module hence YouTube thinks the module is not currently available and will not activate it. Having Stop AutoPlay Next for YouTube™ enabled, can I still know what was the next suggested track? Yes, still next track is shown in the previous place, but it is blurred out. Clicking on this track causes YouTube to play it. Sometimes YouTube suggests very relevant tracks and that's the reason why the suggestion box is not completely removed. Does Stop AutoPlay Next for YouTube™ have an options page? No! there is no options page. If you need to re-enabling auto-playing feature simply disable the extension from add-ons manager. In Firefox, head to "about:addons" page and in Chrome head to "chrome://extensions/" page. Find the extension and temporary disable it. 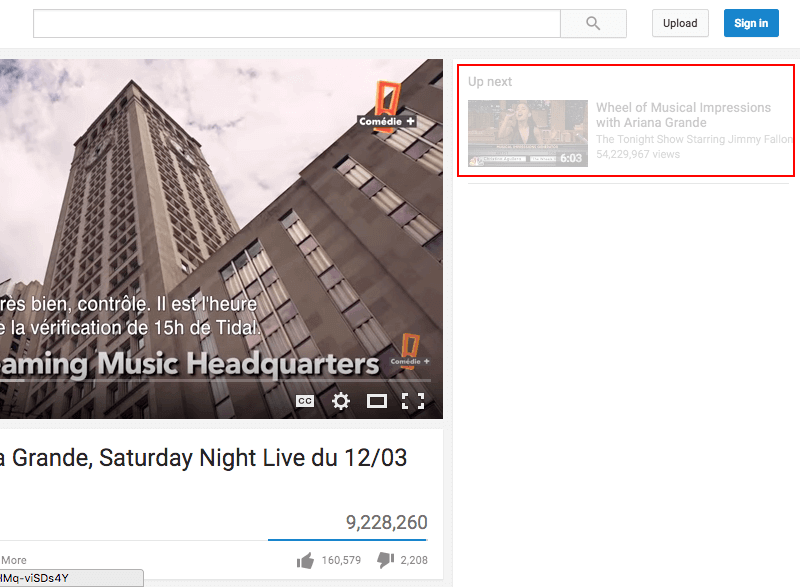 How lightweight Stop AutoPlay Next for YouTube™ is and can it slow down my browser? Stop AutoPlay Next for YouTube™ is very lightweight. It only installs an observer on the YouTube related network requests as well as a CSS injection to remove the toggler button. It is very unlikely your browser performance is affected by installing this extension.